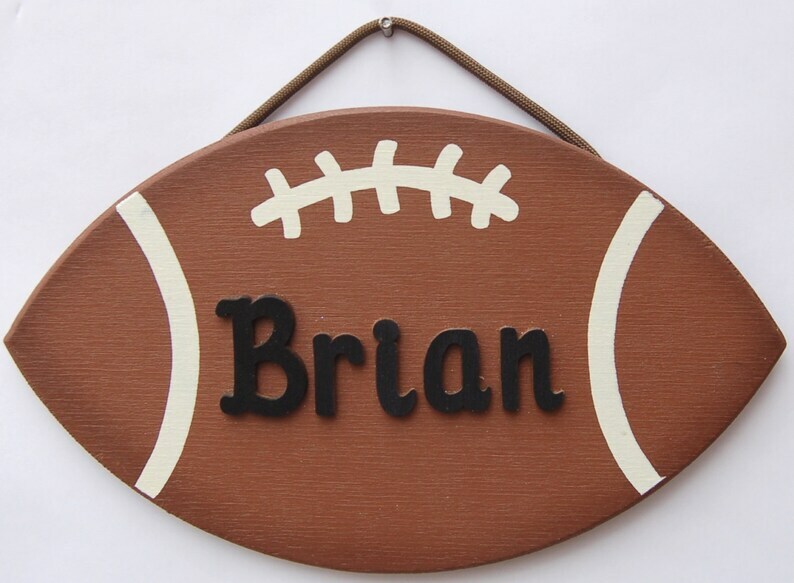 Wooden handcrafted and painted football that can be personalized with name. Perfect sports decoration for game room, kids room , office, or for any football fan. Football is painted with high quality exterior paint and hung by a brown rope. Football can be personalized with any name you choose. Letters are individual black cut out letters and once placed give the football a 3 D effect. Football 8" length and stands 5" high. Football painted and ready to ship out. Name on football is figured into the price. Love this,great little accent,to a wreath I made,thank you !